Hello, welcome to the Week 2 meeting of the Patrick Mahomes fan club. I know it’s early. But our boy is throwing bolts. The second was an absolute dart to Travis Kelce. Look at the zip on this thing. The most obvious demonstration of a strong arm is the deep bomb, but it also shows up in closer quarters, like a laser that doesn’t allow a wide-open-receiver situation to become anything dicier. Mahomes now has seven TDs in five quarters of football this year. He clearly has the talent, and he says sitting for most of his rookie season allowed him to absorb the other stuff that goes into being a great quarterback. 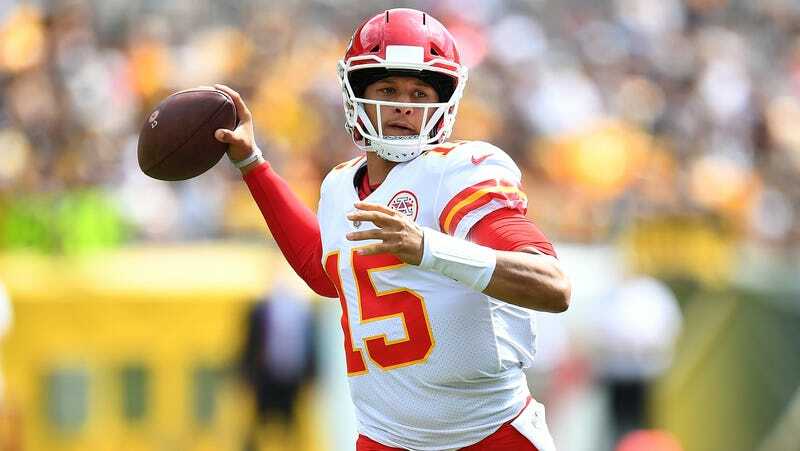 Mahomes is going to be a star. And if not—well, if not, I will suffer no consequences for being wrong and no one will remember. Isn’t sports punditry great?